Project Curator Chloe Leighton is given full rein to reveal how important horses were to the Scythians' way of life. Gold plaque depicting a hare hunt from Kul’ Oba, northern Black Sea region. Late fifth to early fourth century BC. © The State Hermitage Museum, St Petersburg, 2017. Photo: V Terebenin. Have you ever found yourself wondering who was the first person to decide to jump on a horse and ride it? It’s a good chance that it was a Scythian! 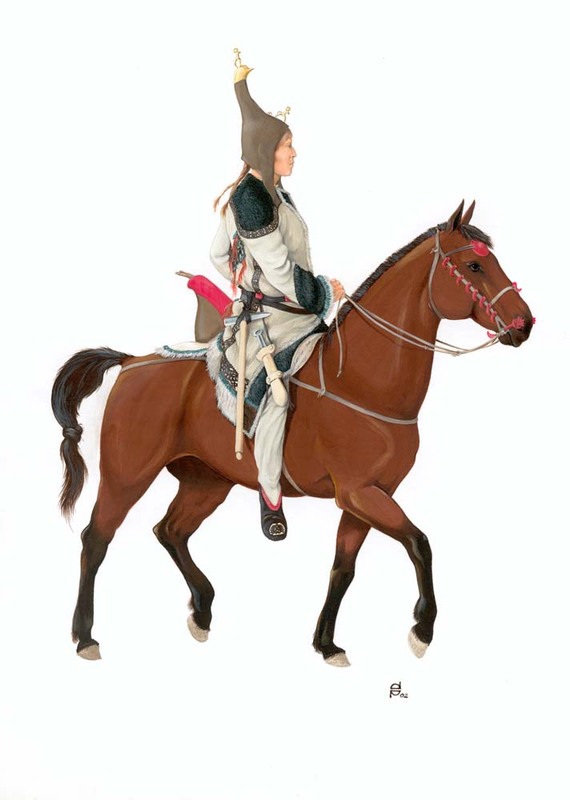 Reconstruction of Scythian horseman based on the finds from Verkh-Khaldjin-2, burial mound 3. © Reconstruction D V Pozdnjakov. The horse was an essential part of Scythian life and was the most important and multipurpose animal used by the nomads. Initially, the Scythians reared large herds of horses mainly for their milk and hides, but eventually were among the first people to harness the horse as a mount. As you can imagine, this was a great success for the Scythians as it meant they could expand their horizons by moving up to speeds of 30–40 miles an hour, they could push past environmental boundaries that immobilised those who travelled by foot, and their cavalry became the driving force behind their military might. By the 7th century BC the Scythians were already master horsemen and controlled a vast corridor of land that stretched across southern Siberia, from the Black Sea to the fringes of northern China. This expanse of land was greater than the Achaemenid Persian Empire, who the Scythians outlasted. The Scythians also invented the earliest form of a saddle, arguably one of their biggest contributions to human civilisation. ‘personal saddle horse’ of the chieftain from burial mound 5, Pazyryk, Altai mountains, southern Siberia, 3rd century BC. © The State Hermitage Museum, St Petersburg, 2017. Photo: V Terebenin. This invention spread like wildfire across their sedentary neighbours to the south and has stood the test of time. Over centuries, the Scythians kept perfecting their horse equipment, which in turn meant they honed their horse riding skills. 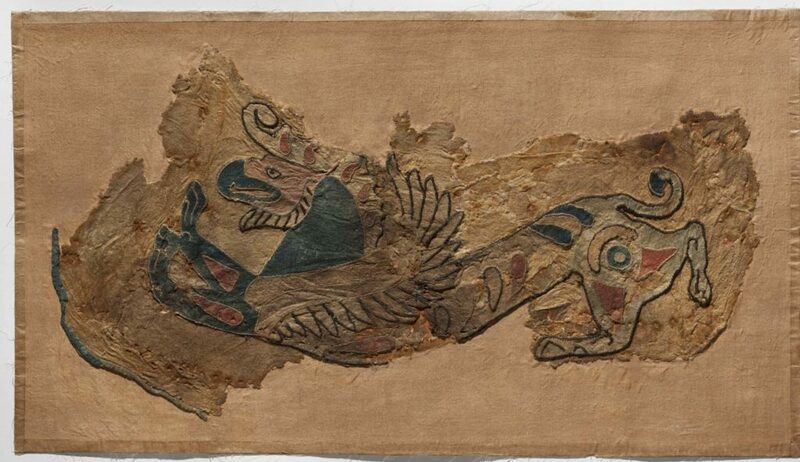 southern Siberia, late 4th to early 3rd century BC. © The State Hermitage Museum, St Petersburg, 2017. Photo: V Terebenin. But the Scythians did not stop there. They also invented an early version of a powerful composite bow that could discharge arrows at a considerably greater force and distance. They also designed the gorytos, a combined bow-case and quiver, that allowed a Scythian to carry both his bow and arrows together for easier access whilst on horse-back. These revolutionary inventions meant that the combination of a Scythian archer and his horse was a real tour de force. 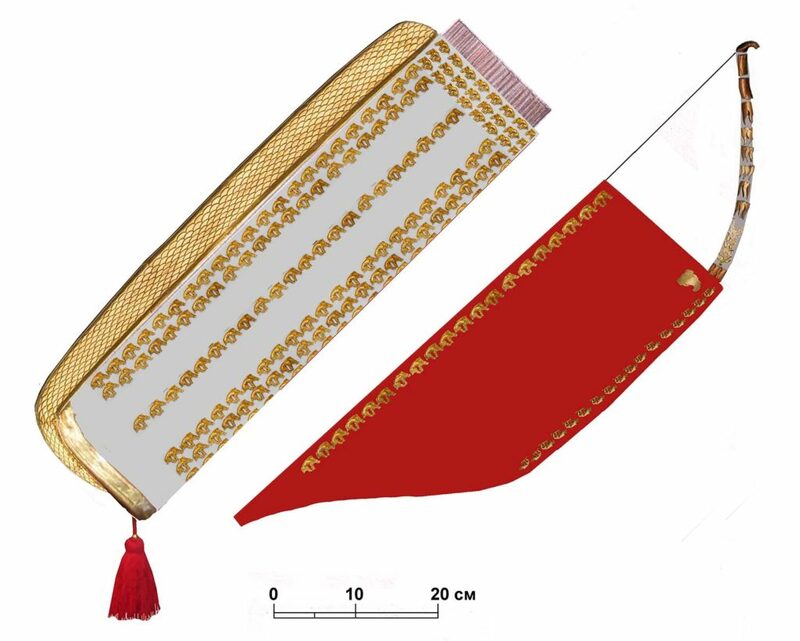 Reconstruction of gorytos based on the excavated finds from Arzhan-2. Reconstruction: K. V. Chugunov. So what do we know about Scythian horses? Recent DNA research has been carried out by an international team of researchers lead by Ludovic Orlando, on exceptionally preserved horse remains from Scythian tombs at Berel in eastern Kazakhstan and Arzhan in Tuva Republic. The analysis has revealed that, like the Scythians themselves, their horses varied from region to region. Their diverse gene pool meant that they had a wide mixture of coat colourings such as black, bay, chestnut, cream and mottled. Further examination has also revealed that none of these horses were inbred, telling us the Scythians did not practise selective breeding. However, several of the horses carried gene variants associated with short-distance sprint performance, which suggests the Scythians favoured horses with an aptitude for speed. The Scythians reared strong, healthy and athletic horses and some were probably hand fed instead of being left to find their own pasture. This also tells us that horse domestication at this time started to undergo a different process to other animals reared purely for food and resources. 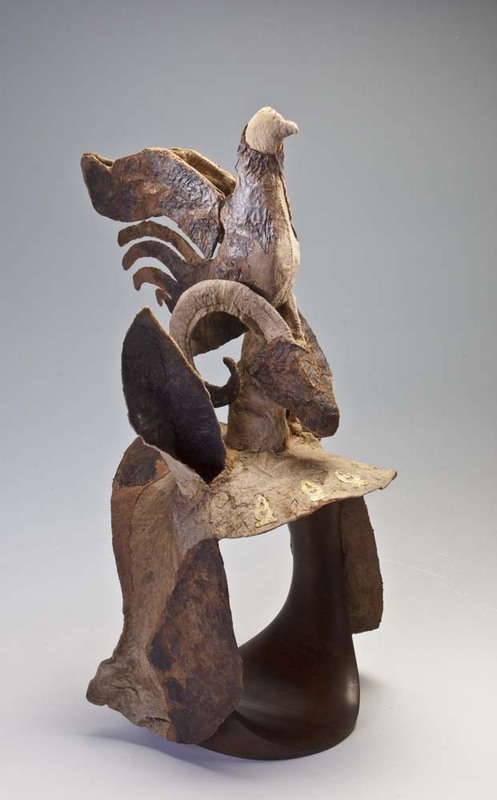 Horse head gear from burial mound 2, Pazyryk, Altai mountains, southern Siberia. Late fourth to early third century BC. © The State Hermitage Museum, St Petersburg, 2017. Photo: V Terebenin. A Scythian and his horse was inseparable, even after death. The Scythians believed in an afterlife and were buried with all their earthly possessions to take with them into the next world. 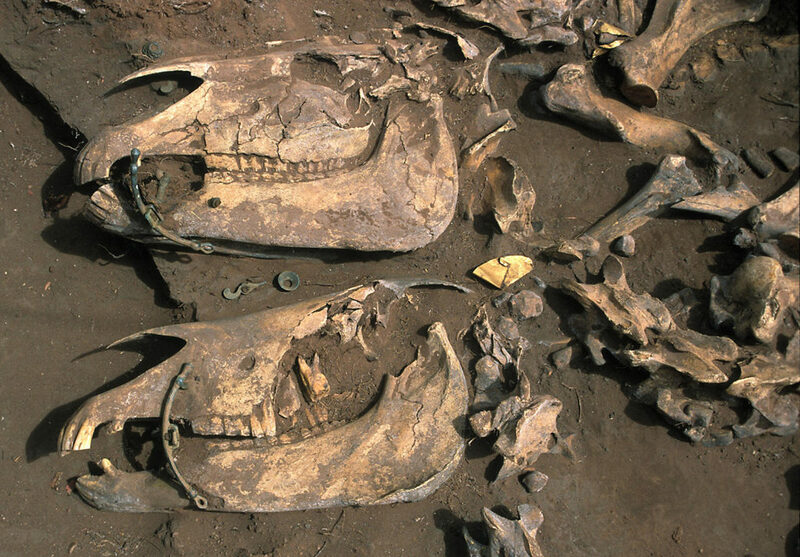 In cases such as at Arzhan as many as 200 horses were found harnessed and buried together with the dead. The quantity and variation of horses found here fits Herodotus’ account that allied Scythian tribes offered sacrificial horses to each other as a way of paying their respects. Archaeology has also made it clear that the more important the person, the greater number of horses were offered. At the famous frozen tombs at Pazyryk, located high in the Altai region of southern Siberia, entire horses were found preserved within the permafrost still dressed in their magnificent ceremonial regalia. This dress included fantastic horned headgear, decorated saddle cloths and elaborate horse tack decorated with stylised animal imagery and sometimes coated in gold foil. 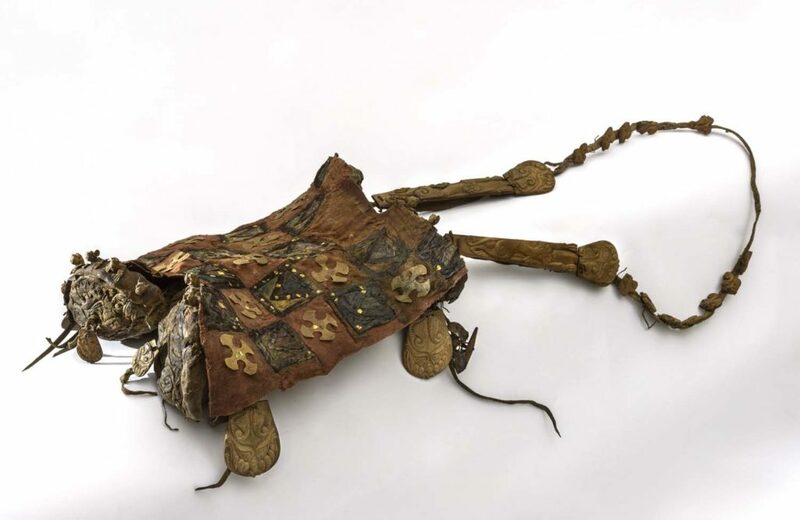 This dress is believed to have been to transform the horse into a fantastic beast ready to transport the deceased into the afterlife, which further underlines the importance of horses in all aspects of Scythian culture. 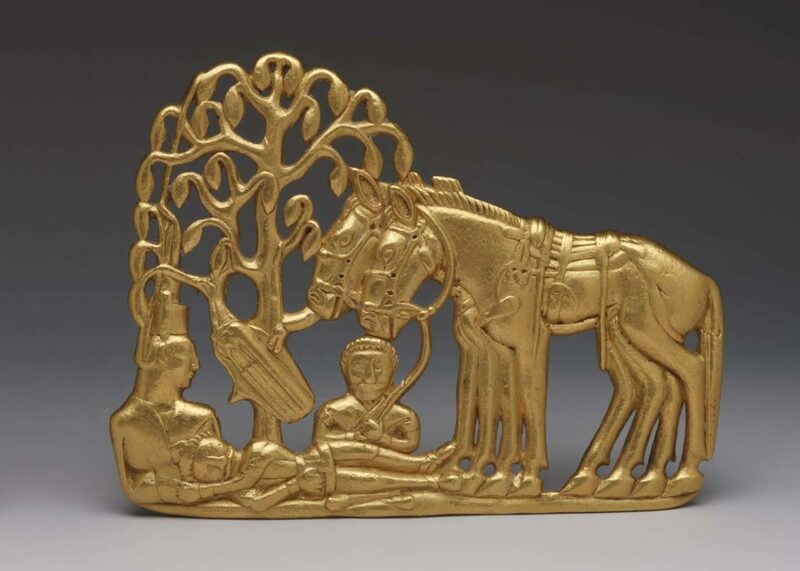 Gold belt buckle depicting figures under a tree with horses, 4th to 3rd century BC. © The State Hermitage Museum, St Petersburg, 2017. Photo: V Terebenin. 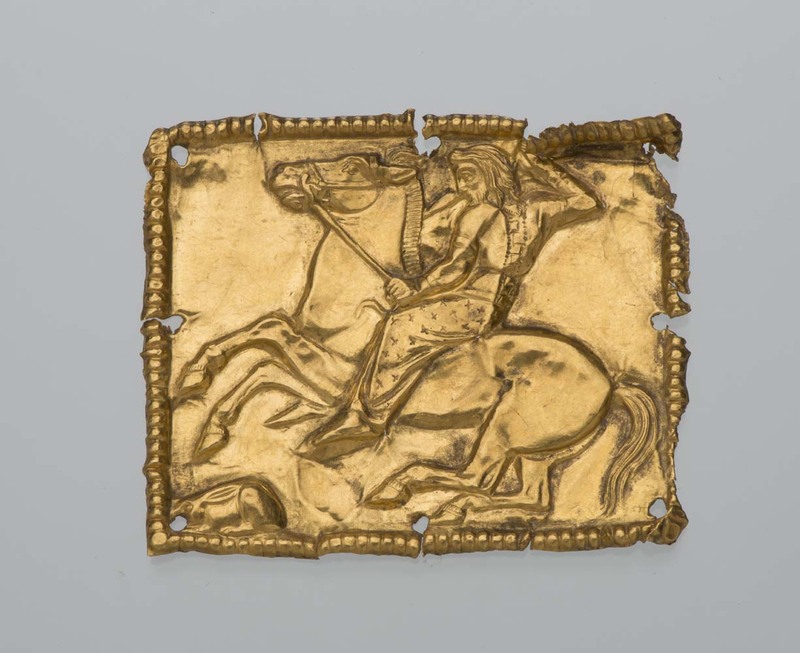 Anyone coming to the exhibition will be left in no doubt that horses were central to the Scythian way of life. Without them, it seems unlikely that the Scythians would have survived, let alone thrived and prospered for over 500 years. You can buy the beautifully illustrated catalogue in the Museum shops. The BP exhibition Scythians: warriors of ancient Siberia is on at the British Museum from 14 September 2017 to 14 January 2018.